My wife and I have talked a lot about this topic. Most of these conversations revolve around the genetic selection of sexes or physical traits, but I think many of the topics are just as applicable to genetic modification of embryos to enhance cognitive capabilities. In almost every conversation we have on this topic the movie Gattaca is brought up because it creates a great starting point by walking viewers through one possible future if a society is allowed to control the genetics of their offspring. So let’s say that the researchers conducting the study to understand the genetics of high IQ find a set of genes that increases an individual’s natural abilities. The next step would be to offer this knowledge to the market place. That is where I start to get real curious, how would such genetic developments be commercialized? Would fertilized eggs be scanned for preferred gene sequences and then implanted. Would impregnated eggs be tested in situ and aborted if a preferred sequence were not found. Or would genetic therapies be introduced to alter the individuals DNA? That last option is probably the only one that could be done on a large scale. 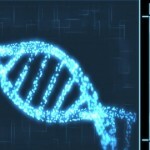 Your DNA would be scanned, modified and a prescription drug that is dialed into your current DNA would be sent to you. This therapy could be consumed or injected to bring about the desired changes. This type of therapy is already available for several diseases and genetic disabilities and uses viruses to infect you with a new string of DNA. Back to the topic of this post. Let’s say they identify the what and the how….next we have to think about nature vs nurture. Great we have made someone more likely to be smarter but if they are not given the opportunities to excel or learn has the therapy impacted them or society in any positive way?…..Hmmmmm scratching my head on that one. To make that question even murkier your IQ can change over time depending on how much you use your noggin. So at what average age does an individual and or the society benefit the most from having a higher IQ?….My gut tells me society would see an impact in academic performance, work performance and GDP increases. But this is if we genetically modify a significant portion of a single countries populous is while not modifying the rest of the globes population. If we go other routes we could see increases in average IQ among the affluent or among everyone so no discernible gain is ever recognized. Gattaca speaks to the affluent getting the option over the majority and creates a class warfare that I believe and as the movie shows pulls the human race down. Whereas the latter option would never be tolerated by the market forces and could only come about if the governments of the world stepped in and mandated equal access. Back to the question. Will we breed our way to higher average IQ? The answer is yes. But for who and how fast are more issues about the market and society than about the technology.